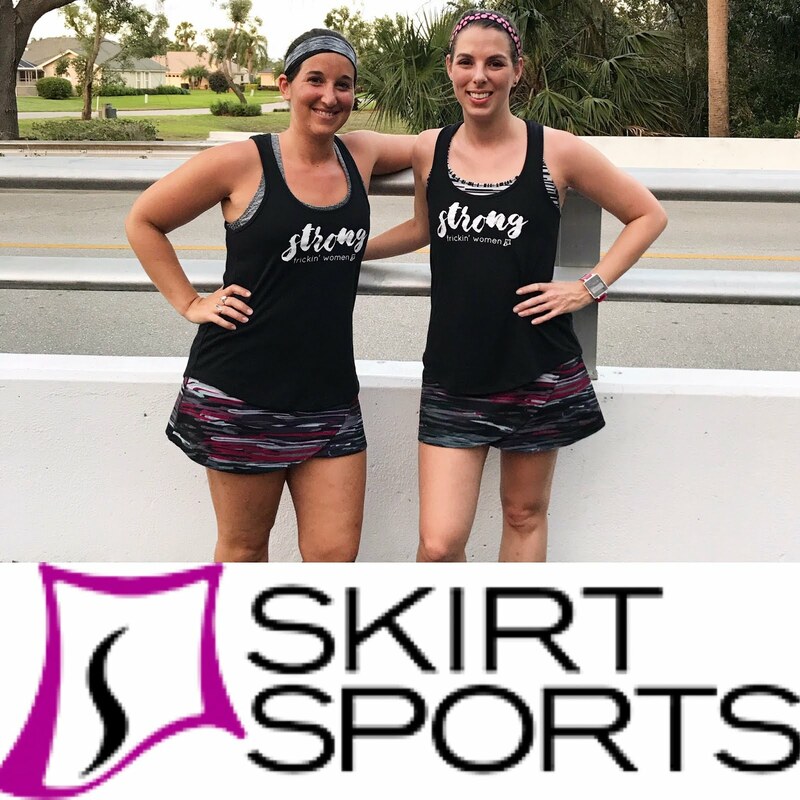 As counterintuitive as it may sound, many women begin to see the numbers on the scale increasing along with their mileage. This can be blamed on gaining muscle, but it can also be caused by being "rungry"...You know, that feeling you get where no matter how much you're eating, you never feel full? 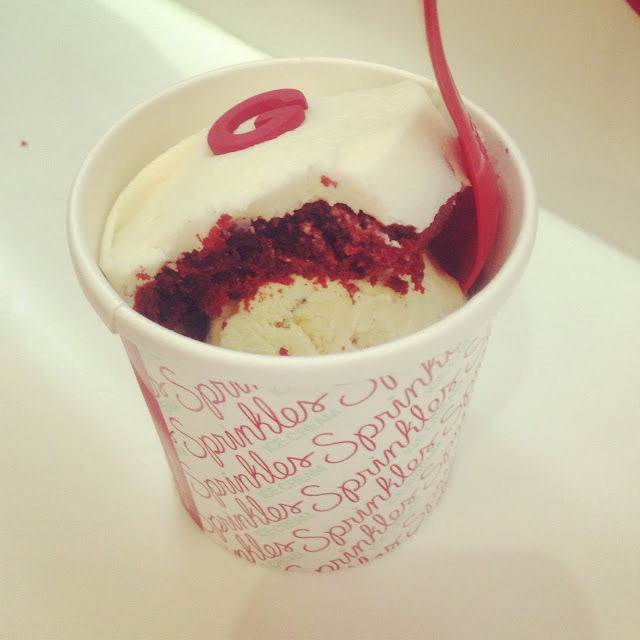 Gluten free red velvet cupcake and ice cream?! YES PLEASE. I make it a point to never step on a scale unless my pants suddenly stop fitting. I spent too many years weighing multiple times a day, stressing about the number, and letting the results determine my mood. I've never been "overweight", but eating disorders are rarely just about weight. The scale was a powerful and cruel master. I'm in a place now where I'm very happy with my health, fitness, and fit of my clothes. Until, of course, I went to pack my favorite jeans for California and realized the waistband was snug. Very snug. 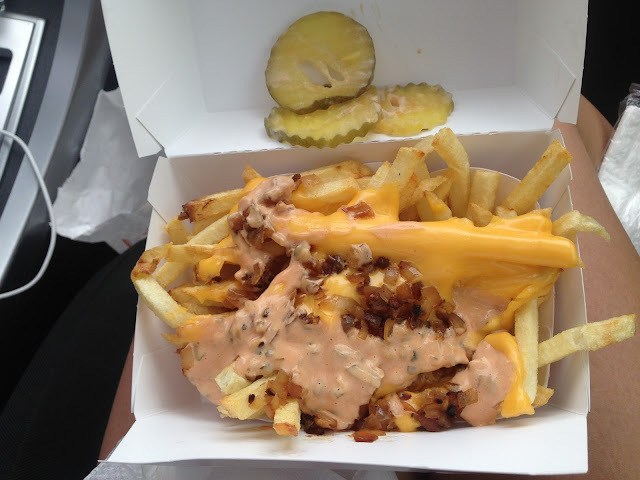 Animal fries from In N Out Burger? YES PLEASE. So how do you "diet" as a woman who has a history of disordered eating? You don't. 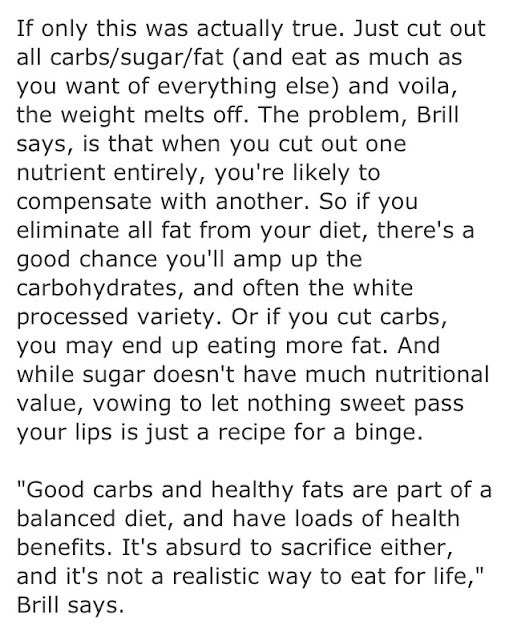 Diets don't work. Anything that asks you to drastically change how you eat, has a cutesy name, or seems unsustainable for a lifetime of eating isn't a good choice. And how we eat has to be about good choices. A good food lifestyle and relationship should allow you to enjoy foods you like, eat socially, avoid obsession, and fuel your body. 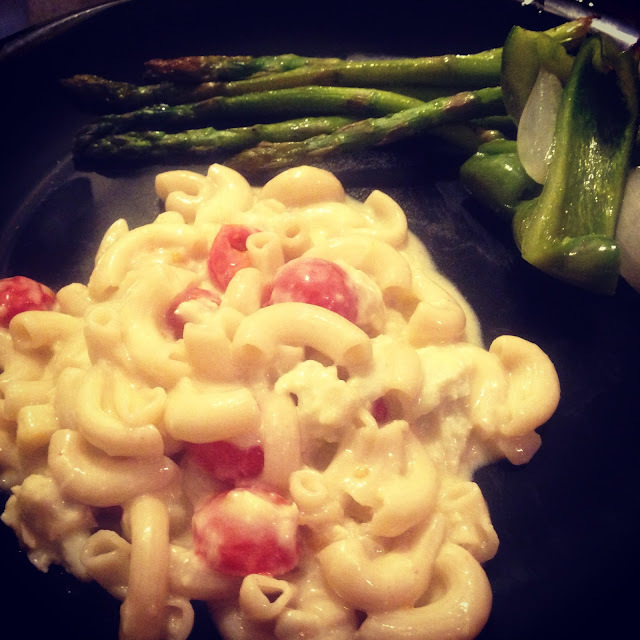 Crab mac n cheese in a homemade gouda and fontina sauce? YES PLEASE! For me, this means I'm going to be more true to my motto: "Everything in moderation." Moderation is key, and I need to be eating with my lifelong health and marathon in mind. The first step to this is to find out how much I actually burn a day. 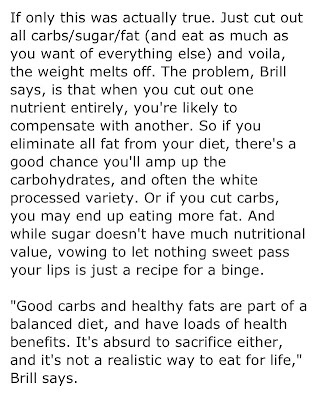 You can't just go around cutting huge chunks of calories out of your daily intake. Using this basal metobolic rate-calculating equation, I'm going to spend the next few days figuring out how much over my necessary intake I'm going, and why. How will I measure success? Why, by how my favorite jeans fit, of course! The scale is just going to have to find another victim. 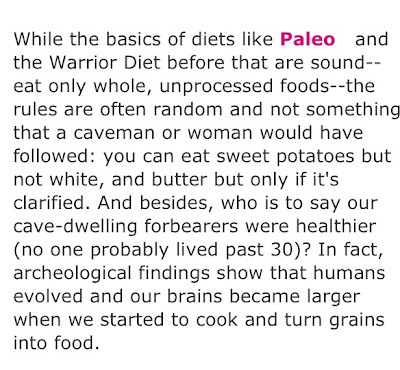 I don't mean to sound like a paleo-basher, but the lack of evidence in support of this diet drives me nuts. I feel so strongly about this. If you cut out an entire food group, you're depriving yourself. What happens when you tell yourself you can't have something? You obsess. It becomes all you want. The next thing you know, you're eating pounds of that "forbidden" food and feeling like a failure. I really think the bottom line here is that if you love something, you should eat it. My idea of a healthy food lifestyle is one that allows you to be social, eat what you enjoy, and fuel your body to its optimum level. Have you ever tried any crazy fad diets? How do you monitor your food choices? Have you ever gained weight during periods of more intense training? LOVE this post. I have so many friends and relatives doing "diets." I keep telling them not to do a diet but a lifestyle change. Fads are fads for a reason. I eat whatever I want- but make sure it's REAL food. I also make sure everything I eat has something beneficial for me. It seems to be working. But I'm still always rungry! I like the idea of eating anything you want as long as it's "real" food...with so many copycat recipes out there, you could even have "real food cheese puffs" and stuff! Great post! I am currently seeing a nutritionist/spcialized in ED doc/therapist for my disordered eating and I just recently gave up the scale and mirror entirely!! While we have not talked yet about how to maintain weight in the future or what to do if I ever need to lose some weight... but I love your approach on this. I hope that I too never get on the scale to let it determine. The scale has been my enemy for far too long. 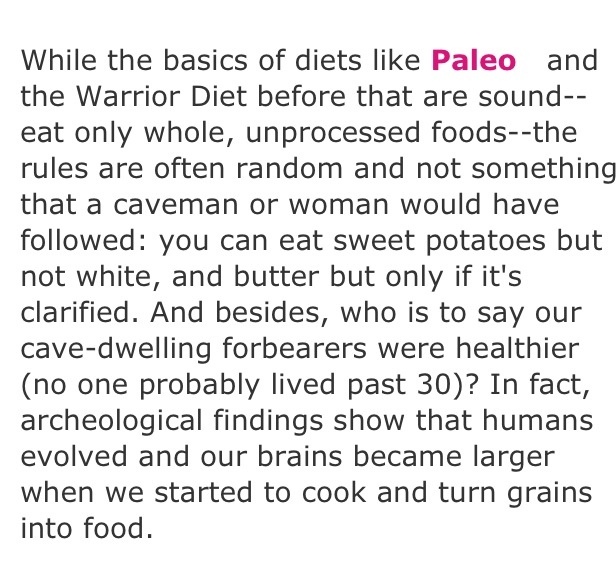 I tried and was Paleo for a long time and it was detrimental to my health. I have put grains back in now and am doing just fine! I am training lots right now, and while I am not on the scale, I feel I am putting on the pounds and gaining weight-- but muscle as well!! Maintaining weight is weird. After recovery, many women see their weight skyrocket (which can cause relapse), but it all has to do with your body relearning how to metabolize food. I'm glad you're getting treatment! Recovery is well worth it! Unlike most American women, I've only "dieted" about three times in my life. All three times, I was successful... for a little while. Then I gained all the weight back. Since I started running and stopped obsessing over the scale, I've become a lot happier with what my body can do as opposed to how it looks. Great post! I find the more I workout, the happier I am...even if I'm not really losing weight. I think it's the endorphins. You really nailed one of the other reasons I hate diets: the results never last. I agree with you Ali! Eat in moderation, enjoy what you are eating, and then move on! My friend and I always say "Life is too short, eat the damn cupcake!" I like eating healthy but sometimes you just want to have a piece of cake and I think that is okay. Making healthy choices is the "new fad" one that will lead to a lifestyle change! I'm so glad to see so many amazing women ditching the scale. That number is so meaningless anyway! And you're totally right...life should be enjoyed, and that means having a cupcake once in awhile! Fantastic post! I have a history of disordered eating as well, so I will occasionally still think of foods as "unsafe." Unless you're allergic to it and it will literally kill you, it's not unsafe, and yet, we still think that way. 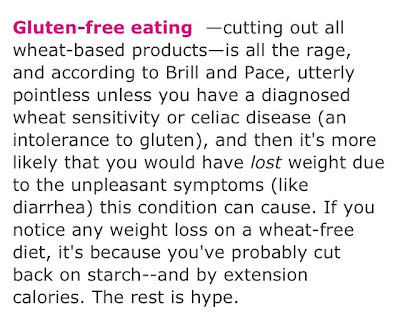 I also am gluten free for actual health reasons and I had no idea Sprinkles had gluten free cupcakes. Um, need to go RIGHT now! ;-) An ex boyfriend of mine eats Paleo, so I did as well when we were together. While I believe in the philosophy (only put the most healthy food into your body and eat as locally as possible), I think it is far too strict for me living in this world. I want to enjoy life and freaking out about what I'm eating isn't how to enjoy it. Thank you for this! 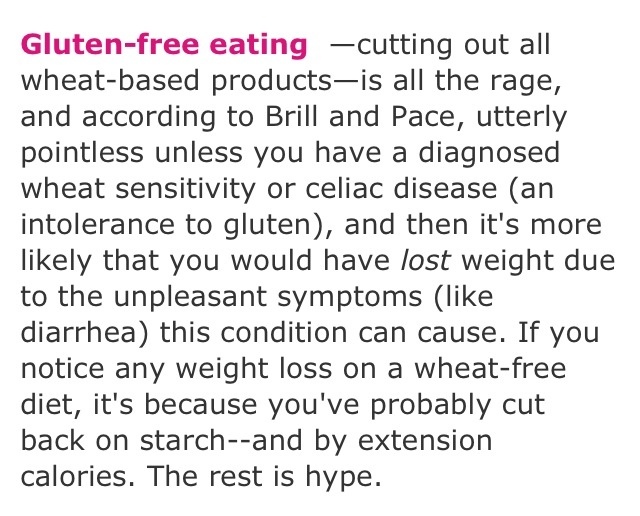 Do you have celiac? I was diagnosed when I was 11...it's so much easier to be gf these days! And you're totally right...freaking out about food takes all the pleasure out of life. Like many girls I have struggled with wanting to be super thin and never truly being satisfied with results of a diet or liking the way I look in the mirror. I am slowly learning to realize that I don't have to restrict to be healthy and it's okay to have a cupcake every once in awhile but just not everyday. Such a great post! Thanks for sharing. It saddens me how such a majority of women struggle with the desire to look a certain way...I'm glad you're beginning to realize that beauty is about more than that! As a girl...who hasn't tried a fad diet?!?! I've never tried a fad diet, to be honest. But I have clear memories of my mom trying to the cabbage soup diet! Awesome post, Ali! You are right on the money with everything you said. I am currently in recovery for ED-NOS with which I have suffered for far too long. Everything in moderation is key. I had to learn to "eat" all over again with the help of a nutritionist and struggle with remembering that there is no good or bad food. You are right about eating disorders, I was never overweight either :) Glad you are eating and enjoying everything on vacation. Thank you for sharing your wisdom with others. I'm so glad to hear you're in recovery! You deserve to live a happy, full life free from an ED. I could never try a fad diet just to try it...I'm too worried it will confuse my body and throw off my very "regular" system lol.